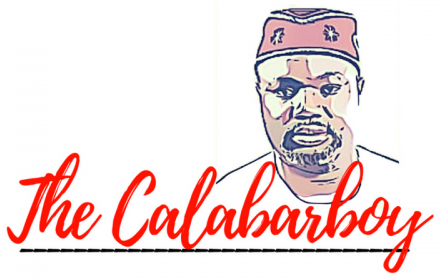 I WENT FOR HILLARY’S LAST CAMPAIGN – MY REPORT | Thoughts of a Calabarboy. 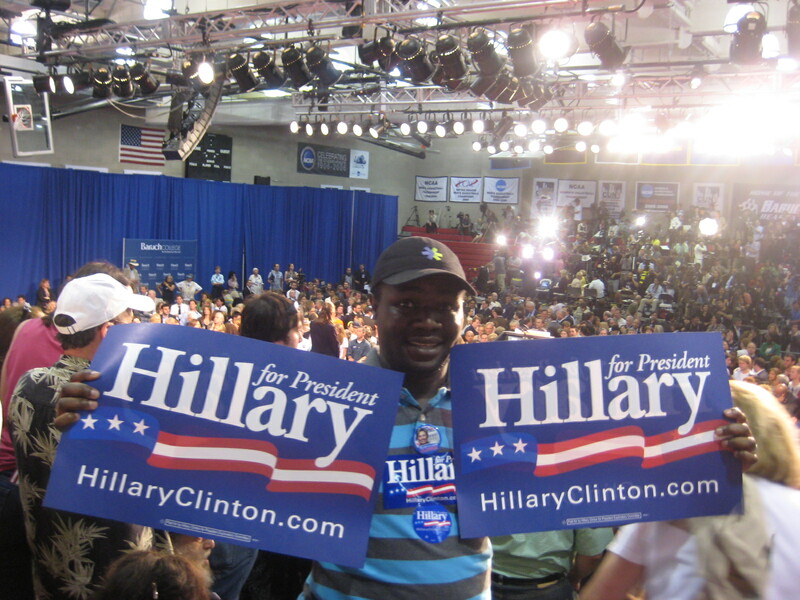 I WENT FOR HILLARY’S LAST CAMPAIGN – MY REPORT – Thoughts of a Calabarboy. First of all I must say that Hillary has a lot of supporters that are heavily passionate. You can feel how their fervor exudes from their speech and gesticulations on their position on the present state of things in the Democratic Nominating Process. Approximately 70% – 80% of her supporters are women, and among the women population, approx. 70% of these are older women. I was keen on observing this trend as I stood outside the hall for 2 hours waiting to get into the venue of her much anticipated speech. There were ranting and screaming outside and many distributed various fliers stating different claims. Some were inviting people to a film presentation on Hillary in NY and others were fund raising. DENVER! DENVER! DENVER! broke the silent neighborhood and created a sort of slow traffic movement as motorists slowly passed by wondering what this madness was all about. The press also had a huge presence there and like ants scurrying away food for the winter, they garnered enough stories from supporters and picked on individuals adorning campaign tshirts for video interviews. A twist in happenings outside came when an intruder came within Hillary’s holy flock. Wearing a bold OBAMA ’08 shirt and carrying a huge poster: DROP OUT NOW!!! he was a really bold man in the midst of wounded women. I really felt sorry for him for all the railings and invectives he got. The police had to call him aside and counsel him to move to a farther location to express his concerns. Interesting I thought. A lot of old women with walking aids loitered around and trying to make their shrill voices heard. I thought this was beautiful as democracy can get, for people to feel that they still mattered in the scheme of things. Still outside, I stuck myself closely to a few commentaries people were giving outside. Of course they were comfortable around me as I quickly bought a $2 Hillary pin and got a sticker on my shirt. The crux of their discussion was that they have no idea who Obama is and where did he appear from. He has no track record and he only speaks about change without concrete evidences of what he can do. One conspiratorialist of a woman was busy propagating that there is a new video or picture of Michelle Obama and Louis Farrakhan wife posted on the web and that is going to sway the judgment of the Super delegates. She stated that by thursday, a huge number of them will move over to support Hillary and that will end the strife and she will become the nominee. Scary!! Well, I eventually got in about 8:45pm after a long 2:50mins wait outside. The hall was not so big as it is the Baruch college basketball hall that was used, so at most about 15,000 – 20,000 people were around, but only about 2000 – 3000 people could access the hall and I was in the privileged few. Don’t ask me how. I sat in my house and received a invitation to the rally by an inside friend, so I got in smoothly. Of course there was shouting and slogans every corner as typical of a campaign. And we all waited expectantly for Hillary to appear. I knew that she would only appear when she has been confirmed winner of South Dakota as the exit polls showed. And indeed she appeared at 9:30pm to a rousing welcome from a hungry crowd of wild supporters. Hillary opened the speech by declaring she had won the contest in South Dakota. She went on to congratulating Obama for a spirited campaign and ended there. The rest was a tribute to the wonderful campign she has had and who she is and what she would love to do for America. I was so disappointed by this speech because I knew that somewhere else, Obama was praising the virtues of the American people as a whole and placing them in the fore-front of a change he is offering. All Hillary could have done was to have warmed her way into the hearts of American by a speech that extends an olive branch to the Obama campaign like he had done towards her. But no, the people behind her were screaming to get to Denver and keep the fight going even in the face of serious disadvantages for the party. I felt the air seeping out of me and such an asphyxiating environment almost made me run off. I tuned off after a while and resorted to taking pictures and then managed to get myself towards the door so i could quickly escape before the mad rush out. On my way out I stopped to buy a bottle of Sierra Mist to quench my embittered thirst and was inescapably grabbed by an Italian Newspaper and a Japanese Newspaper interviewers and for the next 15 minutes drained the ideas out of me on how the democratic party could achieve unity. They both obviously were supporters of Obama from the comments they made. I bore my mind to them on several issues and told them why a joint ticket is ill-advised. I ran off from them and escaped another TV interview and ran along at about 10:30pm. Phew!!! What a day! I got home to the threat of my wife to PLEASE REMOVE THAT HILLARY STICKER NOW OR GO AND MARRY HER!! !……(She didn’t say that ohhh…was just the speech that I got from her looks…lol). I tuned into CNN and heard the speech Obama gave and said to myself, “this guy must have an adviser filled with the Holy Ghost! !